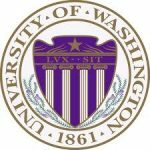 The Department of Surgery, with its eight areas of specialty is an academic department within the School of Medicine at the University of Washington. The School of Medicine is one of the nine entities that comprise UW Medicine. Patient Care, Education and Research are carried out on nine campuses in the Seattle area. The Department’s core activities of teaching, research and patient care are fully integrated so that all aspects of the mission are optimally served. Research in the Department of Surgery flourishes whether it is in the labs, in the clinical arena, or in the study, development and dissemination of best practices. Our unique positioning as the only Medical School serving approximately one-quarter of the United States (Washington, Wyoming, Alaska, Montana & Idaho - WWAMI region) provides our students, residents and fellows with unparalleled opportunity to learn the practice of medicine in a variety of settings. They treat patients from diverse backgrounds under the guidance of faculty that are second to none. Our educational mission is to create surgeons who are clinically and technically superb while emphasizing continuous learning, the ethical practice of medicine and research, service to the community and compassionate patient care. Our results suggest that we meet this goal year after year. Whether you need care that requires the expertise of trauma surgeons, our world-renowned Burn Center, reconstructive plastic surgery, surgery to remove breast cancer, repair of an aortic aneurism or a heart transplant, surgeons in the Department of Surgery can provide that care. Our faculty are dedicated to finding answers to the health problems of the patients we serve, regardless of the severity or complexity. Respect for the patient and their families and collaboration, coordination and integration of care are hallmarks of our approach to patient care.